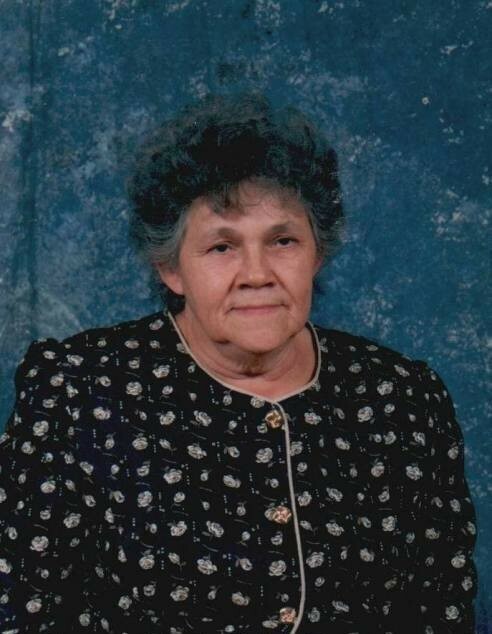 Marjorie Lenora Peele Medlock, daughter of the late Thomas Charles Peele and Addie Clark Peele Morton, quietly slipped away to her heavenly home on March 21, 2019 at the age of 84. She was a beloved daughter, wife, mother, grandmother, sister and friend. A funeral service will be held at 3:00 p.m. Sunday, March 24, 2019 at East Laurinburg Church of God located at 16620 Andrew Jackson Hwy., Laurinburg, NC 28352, officiated by Rev. Brett Davis, Rev. Harry Clark and Rev. Opie Swails. Burial will follow at Laurinburg Memorial Park. Marjorie, lovingly known as “Margie” was preceded in death by her husband, Donald E. Medlock, of 38 years; a brother, John W. Peele; and stepfather, Dennis H. Morton. Also preceding her in death is a niece, Ashley McDaniel and a nephew, Kevin Gibson. Left to cherish precious memories are her daughters, Rita Tessmann (Ed), Cindy Smith (Willie), Donna Morris (Mark) all of Laurinburg, and Deanna Carlyle (Richard) of Rockingham. Nine grandchildren, all the “apple of her eye”, Robby Graham, Shana Graham, Faith Perkins, Dustin Tessmann, Jonathan Thrush, Hannah Thrush, Hunter Morris, Erin Snead and Jordan Carlyle; six great grandchildren, Colbi, Joshua, Konner and Liam Perkins, and Caroline and Adali Thrush. Dear to her heart are her brothers and sisters, Joe Peele (Audry), Harold Peele (Patsy), Martha McDaniel, Doris Morton, Jean Nemerov, Ruby Carnahan, and those she loved as her own, many nieces and nephews. The family will receive friends Saturday, March 23, 2019 at McDougald Funeral Home and Crematorium from 6:00 – 8:00 p.m. and other times at her residence. Online condolences can be made at www.mcdouald.com.